When companies think of a logo design that they can use to create an image or a brand for themselves, they should think of several factors that can help in making their logo stand out and be easily distinguished from the competitors, especially those that offer the same type of products or services as theirs. Of course, one factor would be the uniqueness of the logo design, and another would be the use of color and typography. But out of all these, one factor that is commonly overlooked or neglected is the coolness of the logo design, because regardless of the generation, most people will often be interested in logo designs that they think are cool. If you are looking for professional logo designs that you believe are cool among the general public, then this may be your lucky day since we have an entire collection of cool logo designs gathered here just for you. The logo designs below range from portraits to an emblem type, and even a wordmark type, and this collection of logo designs are not intended for a specific purpose and can be used for any type of business. Don’t stress yourself out by going through multiple websites for something that is already prepared here for you. The best thing that you should do now is to scroll down to see the cool business logo designs yourself. 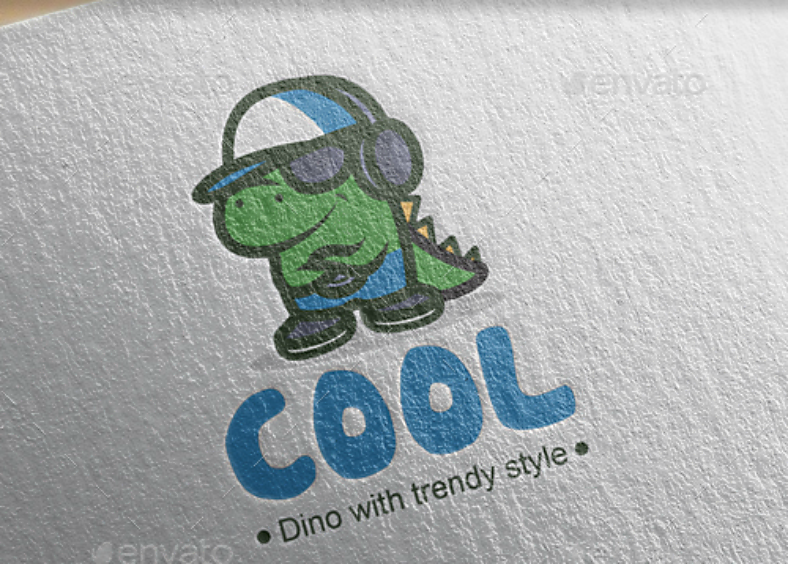 They have always said that first impressions last, which is why we started this list off with this awesome logo design that bears an image of a cool and adorable dinosaur wearing a cap, a pair of sunglasses, and a pair of headphones. This logo design is perfect for businesses that involve fashion or apparels, or it could also be used for those in the music industry. But nevertheless, this cool and colorful logo design knows no limits and gives you all the freedom to use this for any type of business. 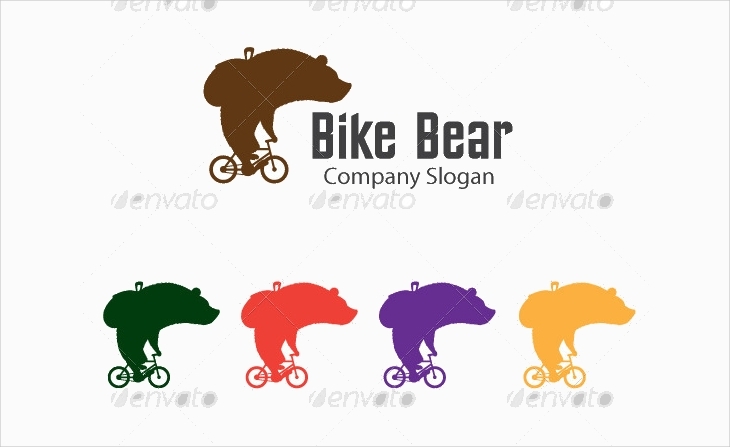 Before we get started with this logo design, the first question that should come to mind is “Where else can you find an image of a bear on a bicycle?” and the answer is simple, you can find it here in our collection of cool logo designs. For this design, we can only make out the form of the bear and the bike from its silhouette design, but this illustration is already enough to draw people’s attention. If you think that that brown-colored silhouette doesn’t quite fit you or your business, there are alternative colors that you can choose from which includes green, pink, purple, and yellow. What do you call a hybrid of a gorilla and a lion? A Gorilion, of course! And while these are purely fictional creatures, there is no need to disagree when we say that they make a cool image for a business logo. Both gorillas and lions are wild creatures that are feared by most people, especially those that are not domesticated, so when putting together these two animals, it only makes them even more frightening. If you intend on setting a symbolic logo design to intimidate the competition, then this may be the ideal one for you. When we think of a cool-looking person, we often create a stereotyped image of a person wearing a hat and a pair of sunglasses, which only makes this logo design perfect for that description. For this logo design, the symbol bears a portrait illustration of a mustached person wearing a fedora hat and a pair of eyeglasses (or sunglasses, it depends on how you see it), which many would find as somehow geeky but still cool. To provide you with an idea of where to use this modern logo design, this can be used for industries that involve fashion and accessories. Skulls often haunt us, but flowers, on the other hand, give us a rather soothing or comforting feeling, but which emotion do you think would weigh more when it comes to a skull consisting of yellow flowers? It is for us to find out by taking a look at the cool logo design shown above. As you can see from the image above, the logo is versatile enough to be used not only for various types of industries but also for different mediums—both printed and digital. 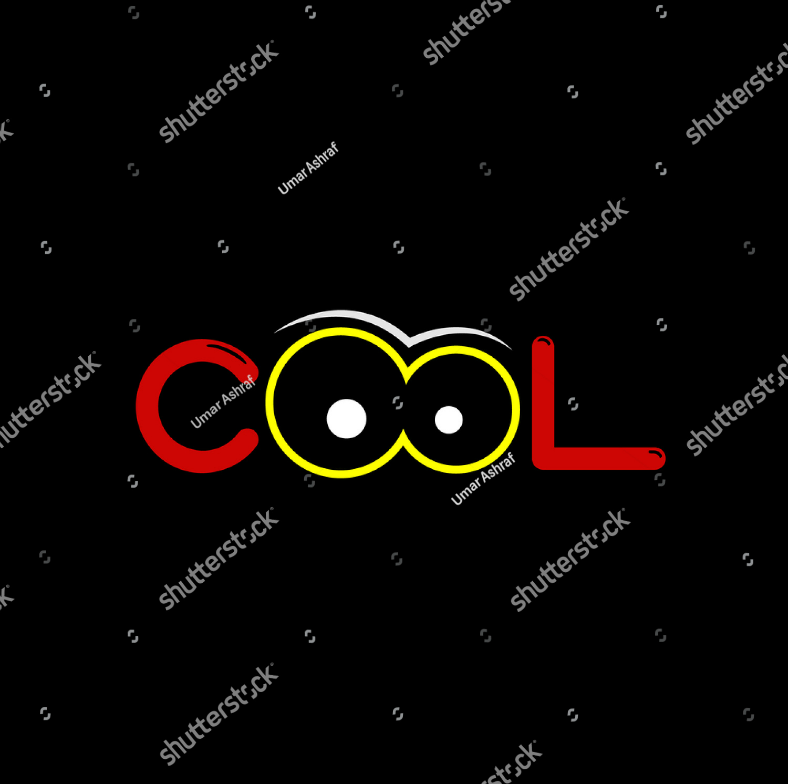 Many people nowadays take the word cool for something negative or rebellious, and one of this is the saying “Too cool for school,” which is something that should not be tolerated and should be corrected as early as possible. Being cool doesn’t have to be about rebelling, rather, it should be something that is able to influence or be able to make an impact to a number of people. For this circle logo design, it can be interpreted as people coming from different backgrounds who are working together to achieve a common goal. In other words, these people are working together as a team, and teamwork will always be cool. For the next couple of cool logo designs, they utilize the wordmark type of logo, but before we expand on that, it is probably best that we familiarize on what a wordmark logo is. Out of the five most common types of logos, two of which only involve text, namely wordmark and lettermark. The wordmark type doesn’t have a symbol included and only spells out the name of the company, while the lettermark type only includes either a single letter or the initials of the company’s name. For the text logo design shown above, it makes use of a typeface most commonly seen in comic books, which is something that many people will find cool. Have you ever seen those illustrations that actually started out as simple words? If you’re quite confused with what I’m trying to explain, take for example the word boy that you may be able to turn into an actual boy’s face. If you are still confused, check out the logo design provided above, the bottom half is the text that serves as the base image for the logo, and the upper half is the illustrated result. 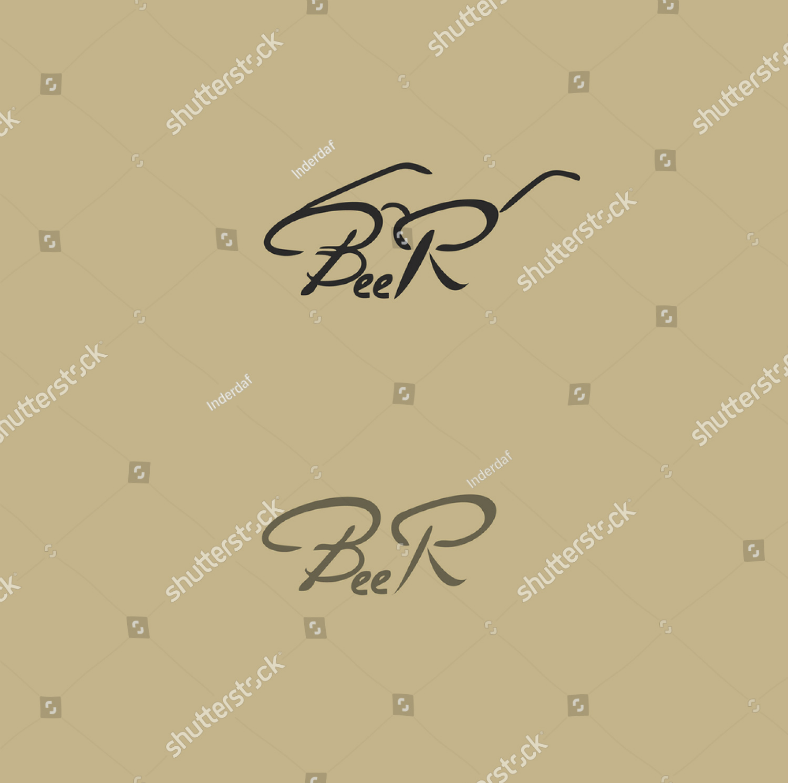 For the sample above, the base image says “beer,” but you may be able to change this to something else depending on what suits you, but you may need to think carefully on how you can make the transition from word to image. This flat logo design may appear very simplistic, but it will actually take your creativity to the next level. 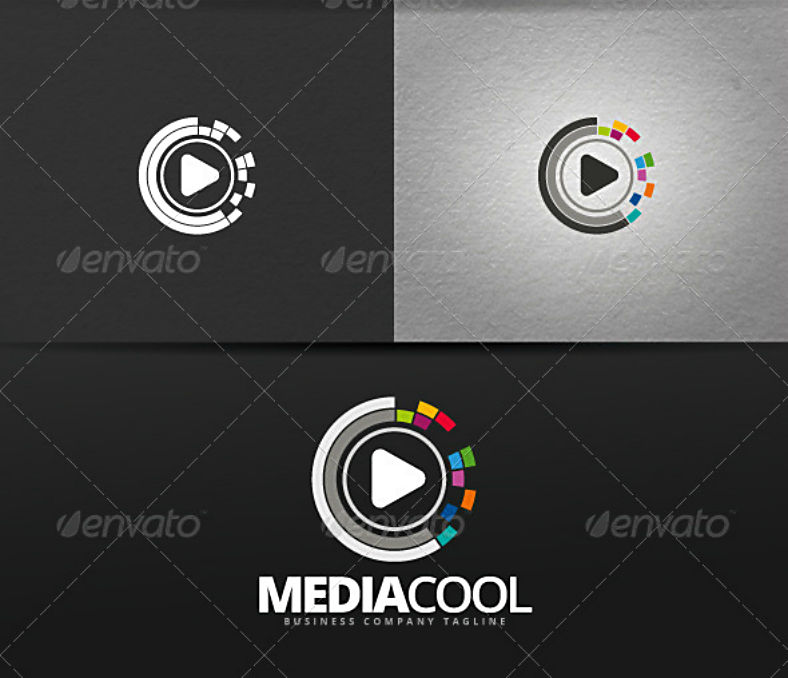 Here is an abstract logo design that you may be able to use for various purposes. For this logo, it is intended to look like a stone but you may take advantage of this design’s simplicity to have it interpreted differently. Another advantage to this logo is its flat design, which makes it not only versatile but also very easy on the eyes. Whether you are working in a construction company or a business involving jewelries, this logo design may be the ideal one for you, and we would also highly recommend this for those who prefer minimalist designs. Now that we are about to conclude this article about different cool logo designs, it’s best to inform you that these designs were created and provided by some of today’s best and most talented graphic artists from all over the world. We were able to gather these designs by going through various reliable websites so you won’t have to. Not only have we helped you save yourself some time in searching for these cool-looking logo designs, we have also helped you in saving yourself a lot of precious time in not having to make a logo from total scratch. With our logo designs, you simply need to edit them according to your preferences or how it may suit your business. Speaking of not needing to start from nothing and to simply edit these pre-designed logos, most (if not all) of these files were saved in the vector format, which makes them fully and also very easy to edit. With designs made out of vector graphics, you may be able to individualize each and every element and edit them without altering the entirety of the design, and even if you enlarge these elements to a great extent, they are able to retain their sharpness. That said, you may be worried as to the cost of having such high quality and fully editable business logo designs, but to make it clear for you, these logo designs can be yours for a very reasonable fee. So now, are you going to download them or not? Because where else can find such good deals as these?